We love going on different homeschool field trips. One reason we have fun is because I plan before we go. I also teach expected behavior. I developed a checklist that I use to remind me what to take. Below you can download your free checklist so that you will have a fun time. To make homeschool field trips successful you need to do some planning. Before you go you will want to know about how large the zoo or museum is. You might want to take several trips to the same place. Then you can focus on one or two exhibits. And if there is an age restriction. If your children has special needs you will want to know if there are accommodations. Some theaters have quiet rooms for young children and those who need a quiet place. If you are doing a lot of walking see if the place can accommodate strollers or wheelchairs. You can usually find information about museums and zoos online. Many have worksheets and other educational information that you can download. Plan when you will go on your field trip. Will you go before you learn about the subject? Or will your child gather some facts first? Or will you reward your child at the end of a study with a field trip? Teach your child what is expected before you go anywhere. Remind him to stay with you or the group. Talk about how to act in public. If he needs to be quiet at a play or music performance practice before you go. You could have him watch a TV show and not talk during the show. Do not take children who need a nap on a field trip and expect them to be good. 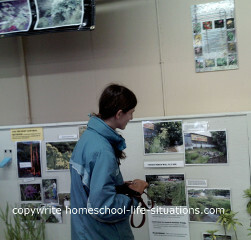 Try to schedule homeschool field trips when everyone can enjoy the activity. Another idea is to find a babysitter for the youngest members of the family. When I had young children I liked to have a checklist of items that I would need on a field trip. The trip can turn into a nightmare if you forget to bring the babies special toy. The list is a PDF file so you will need Adobe reader. Here is a free checklist that you can download of items that I liked to have on hand when I when go someplace. The list also has expected behaviors for different types of field trips. I already mentioned talking about the trip before you go. Depending on where you are going talk about what you see when you are there. Also when you are at the zoo or on a nature trail take along a student notebook so that your child can record what he sees. A young child can draw pictures. Older children can draw pictures and write notes. When you get home talk more about what you have seen. Have your child search the internet or look in books for more information. Where you go will depend on what you are studying and how far you need to travel. Here is a list of my ideas. If you are going on vacation to a different state look on the internet to see what is available. With planning homeschool field trips can enhance your child’s learning. They can be fun for both the parent and child.